PERRYSBURG, Ohio — The Black Swamp Food & Farm Initiative is looking for the next generation of Ohio’s farmers, to help them knock down some of the barriers that are keeping them from the land. As a pilot project, Black Swamp Conservancy, a land trust, will use long-term lease agreements to provide affordable access to northwest Ohio farmland in 16 eligible counties. The initiative will also help connect aspiring farmers to the services and partners they’ll need to establish sustainable farms. Chris Collier, the conservancy’s conservation manager, said there are organizations offering programs similar to the Black Swamp Food & Farm Initiative across the country. He said the conservancy has refined those projects in the context of northwest Ohio. “The closest state we know of with a similar program is Iowa — The Sustainable Iowa Land Trust,” Collier said. The Black Swamp Conservancy plans to purchase farms with funding set aside for farmland preservation. “We’ll then use those farms we own for long-term lease, five years or so, to beginning or reasonably started farmers that are looking to expand their operations at more affordable rates,” Collier said. He said the goal of the program is to help northwest Ohio’s farmers create sustainable businesses, allowing them to make a profit off their farms, and then move forward to take ownership. “We’re trying to remove one of the big overhead cost barriers in the initial phase of farming,” Collier said. While the conservancy doesn’t have access to low-interest loans or revolving funds to purchase farms after a long-term lease, the Black Swamp Food & Farm Initiative provides the experience needed to qualify for Farm Service Agency (FSA) low-interest loans, he added. Collier cautioned that land purchased through the conservancy’s pilot project will include a permanent conservation easement. Collier said leaseholders would not be required to purchase farms after five years or they could take advantage of options to renew leases. As a pilot project, Collier said each lease agreement would be different — some larger, some smaller. The conservancy is also considering a variety of services that leaseholders might need in addition to land access and business stability. For inexperienced applicants, Collier said the conservancy is looking at classes, training, and year internships and mentorships with farmers working similar operations as a way to help novice applicants gain experience. “We expect that we’re going to have applicants who are not ready to own their own farm; we want to give them opportunities to get to that point,” Collier said. Collier said the conservancy is looking at partnering with groups like the Agriculture Incubator Foundation in Bowling Green to get trained and experienced applicants on plots that organizations like the AIF already has available. Collier said filing an application for the conservancy’s Food & Farm Initiative does not require any commitment from the applicant. In addition to Black Swamp Conservancy monies, the Black Swamp Food & Farm Initiative is funded by grants from Toledo Community Foundation and the Stranahan Foundation. 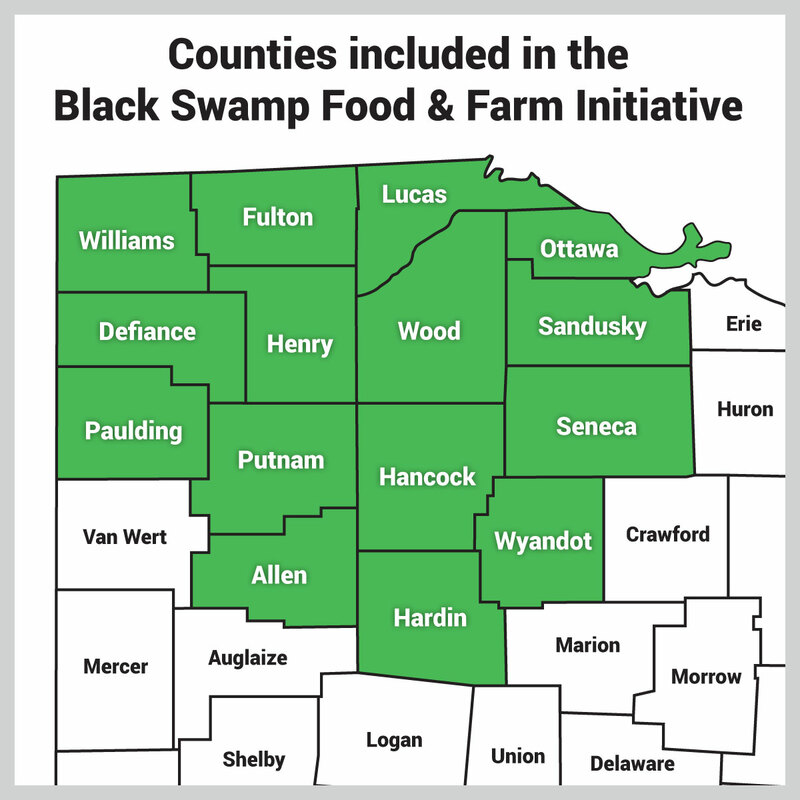 The Black Swamp Food & Farm Initiative is accepting applications from individuals interested in starting or expanding a farm in northwest Ohio. Applicants will be asked to submit a letter of intent that includes their vision for the farm, and a resume detailing agricultural experience and any other skills that will help running the farm. To learn more about the initiative and apply, contact Chris Collier at 419-833-1025 or at ccollier@blackswamp.org or visit www.BlackSwamp.org. BEWARE!!! DO NOT SIGN UP FOR ANY ‘LAND-TRUST’ PROGRAMS!!! They are very deceptive and controlling!! Do your ‘homework’!! You will find people that have received land put in these ‘trusts’ and have gone thru hell trying to farm!! These programs are so controlling of everything that even simple barn repairs and moved fences are not allowed!!! Do not fall for ANYTHING listed as ‘sustainable’-it is a broad term that means ‘controlled’ ! !